Following the crash of a Cessna in North Carolina in 2005, the plaintiff filed suit, claiming that the aircraft lost power as a result of a defect in the engine’s carburetor. Twice, the district court granted summary judgment in the engine manufacturer’s favor, and, twice, the U.S. Third Circuit Court of Appeal reversed. Initially, the Court of Appeal determined that the ordinary presumption against preemption applied. On remand after the 2016 decision, the District Court granted summary judgment on the basis of Conflict Preemption. Again, the Third Circuit reversed. The plaintiff argues that the manufacturer’s design for affixing the carburetor parts was defective and that, under Pennsylvania law, Lycoming would be liable for failing to use a different design. Specifically, she asserts that Lycoming should have used safety wire to secure the bolts that attach the float bowl and throttle body. Under federal law, an aviation-products manufacturer must obtain a type certificate from the FAA. A manufacturer generally must make the product in accordance with that certificate. A manufacturer may make a “minor” change through a pertinent method acceptable to the FAA. 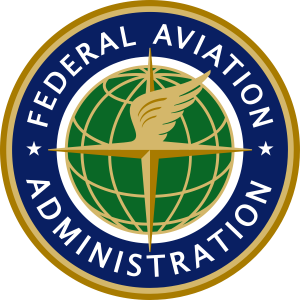 Major changes require advance FAA approval and issuance of an amended or supplemental type certificate. The FAA also regulates aftermarket parts. A manufacturer seeking to make replacement parts generally must obtain a PMA, which allows the manufacturer to produce replacement parts for use on certificated products. A PMA holder may manufacture aftermarket parts, but must do so in accordance with the type certificate for the product, and must follow the same procedures as the type certificate holder. The manufacturer argued for impossibility preemption because its FAA-approved type certificate precluded it from unilaterally changing its design, and thus it could not simultaneously comply with federal and state law, to the etxent that state law would require it to adopt a different design. Sikkelee v. Precision Airmotive Corp., 822 F.3d 680 (3rd Cir. 2016), and, later proceeding, 907 F.3d 701 (3rd Cir. 2018).